Lunghezza 40 cm, larghezza 36 cm, altezza 60 cm. 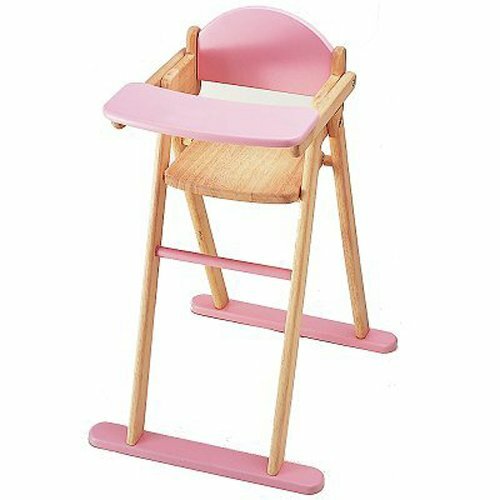 A realistic dolls high chair suitable for dolls up to 42 cms in height. It omes with attached feeding table. 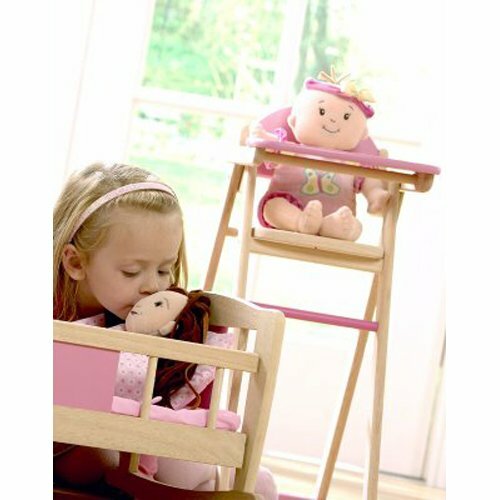 It is made from rubberwood.